If you are planning a trip to Malaysia, most probably you plan to spend at least some time in one of the best Malaysia beach resorts. This country is home to a long and lovely coastline and there are some awesome luxury beach resorts in Malaysia as well as some budget Malaysia beach hotels. In this article, we list the best beach resorts in Malaysia located all around the country so you can pick the best one for your perfect Malaysian beach break! The Andaman Langkawi is located on a private beach in a secluded part of Langkawi. This is a great choice if you are looking for one of the top 10 beach resorts in Malaysia where you can really get away from it all. The Andaman is luxurious, beautiful and has a wonderful beach. Surrounded by rainforest on one side and the beach on the other, this is definitely a top choice for nature lovers. It is a bit away from the main parts of Langkawi so this resort is best suited for people looking for a total break in beautiful surrounds. There are many room types and all of a high standard. It is a Malaysia beach resort with private pool options and we recommend one of the executive pool suites. These are large suites with separate living and bedroom areas, huge bathrooms and lovely terrace areas with a private pool. One of these suites also has direct beach access. There are many facilities at the resort including a huge pool and the rainforest to explore. You can go on guided walks or learn about coral at the coral nursery. There is a fabulous kids club with a good activity schedule for kids. When you get hungry, there are four restaurants and several bars/lounges. There are many cuisines on offer and the food is fabulous. I particularly recommend the seafood. The gorgeous location which is perfect for nature lovers or people who want to get away from it all, excellent kids club and the great rooms. The Andaman Langkawi is somewhat isolated so it’s for people who mostly want to hang out at a resort. This is one of our favourite resorts anywhere in the world and we highly recommend it for people who want one of the best beach hotels in Malaysia. It is just gorgeous with great facilities, beach and rooms. It is perfect for kids as well as couples on a romantic break. Click here for more information and the latest prices or read our full review here. The Datai Langkawi is maybe the top beach resort in Malaysia with much of the same benefits as the Andaman above – as it’s located right next door and shares the same private beach. It is even more focused on luxury and nature though and has an amazing 5/5 rating on TripAdvisor from thousands of reviews. This is a great choice if you are looking for the best beach resort in Malaysia where you can really get away from it all. It only recently re-opened after a full refurbishment so now is really the best time to go. There are many room types including private villas, perfect for romance or families. Many come with private pools for extra enjoyment. The beach is also top rate and you can chose to have a villa right here! Or to be surrounded by rainforest and just a short walk from this beach. There are many facilities and activities at the luxury Datai including three pools (one for adults, one for families and one for toddlers), water sports, health club and many nature activities both for children and adults. There are four restaurants and two shops. Rates do include breakfast and minibar and the villas also have a private butler service. This is pure luxury in a gorgeous location. Kids are welcome but expected to keep quiet – even in the family pool! The Andaman next door might be a better choice for families. If you are looking for truly the best luxury beach resorts in Malaysia, this is a winner. Perfect for couples who want to get away from it all and be immersed in nature. The Meritus Pelangi Beach Resort & Spa is the perfect choice if you are looking for luxury beach hotels Malaysia in a central spot. This hotel is located in the main beach area of Langkawi, Pantai Cenang. So if you like to be in the centre of things by a beautiful beach, the Meritus Pelangi Beach Resort & Spa could be exactly what you are looking for! This beach accommodation Malaysia has a range of room types. You can stay in a double, twin or family room. You can choose to be on the beachfront or in a suite. All rooms are well presented and a generous size. As you would expect for a 5-star beach resort hotel in Malaysia, there are many facilities including two outdoor free-form swimming pools, a gym, sauna, squash, mini-golf, tennis, archery and bicycle rental. There are many activities for both adults and kids. There are two restaurants, a pool bar and lounge. You are also just a short walk from many other eating options. And, of course, you have a beautiful beach to enjoy. A beautiful beach and a great resort just minutes walk from a popular area with many eating and shopping options. The rooms are nice but not as good as some of the other, truly luxurious ones on this list. The Meritus Pelangi Beach Resort & Spa is the perfect choice for those looking for a nice beach resort in Malaysia where they are still in a central location. The Shangri-La’s Rasa Sayang is the best choice of Penang Malaysia beach resorts. This 5-star luxury resort is located on the end of Batu Ferringhi beach, just a short walk from the night markets and many eating and shopping options. This resort is beautiful with two large wings, the Garden and Rasa. They both scream luxury and relaxation but the Rasa comes with extra priviledges like balconies with private soaking tubs in some room types, complimentary high-tea, pre-dinner drinks and snacks, more breakfast options and a private pool just for adult, Rasa-wing guests. In either wing, you are sure to find a lovely room, however, and enjoy the majority of the resort’s facilties. The grounds of the Shangri-La Rasa Sayang particularly stood out for me. They are large, green and spacious and go straight to the beach. It’s rare to find this in one of the west coast Malaysia beach resorts that are also very centrally located – you are usually swapping space for the location. There are some great pool areas as well as many resturants, shops and a deli. There is also a gym, spa, a yoga pavilion, tennis courts, a par-3 pitch and putt golf course and a gift shop. If you are travelling with kids, the Rasa Sayang shares a kids club and cool indoor playcentre, Adventure Zone, with the Golden Sands Resort next door. We found this a great place to stay with kids and the spacious grounds made it easy for them to let off steam without bothering anyone. The attention to detail also stood out for me with things like a personalised welcome note on arrival. The buffet breakfast is fabulous. The spacious grounds, good rooms, buffet breakast and central location. There are no individual villas. It’s all hotel rooms and suites in the main buildings. This is the best choice of Malaysia 5 star beach resorts if you are looking for an option in Penang. It’s in a great location and the resort is beautiful. The Pangkor Laut Resort is the perfect choice if you want luxury, a private island and are looking for Malaysia beach resorts near Kuala Lumpur. Being on its own island does mean it is slightly more complicated to get here but it is straightforward and worth the effort. It’s a 3.5 hour drive to the office of the resort from KL Airport and the resort can arrange a transfer for you. Then it’s a quick 15-minute speed boat transfer which runs four times a day. Once you are here, you are in for a treat. There are several beaches and you are sure to love them. There are two pools, a gym, squash and tennis courts. There are many dining and drinking options and top rate food on offer with many cuisines represented. There are a huge range of room options. All are great and a good size. You can have a beach villa Malaysia right by the beach, a villa on a hill or one over the sea like pictured below. For true indulgence, there are also “estates”. These are eight luxurious options with two to four bedrooms, living and dining areas and private pools, all surrounded by rainforest or right by the beach. A personal butler is on call as well as a private chauffeur-driven car. These options are just gorgeous and I highly recommend them. An absolutely gorgeous resort on a private island with great beaches and the option of luxurious estates. You are somewhat isolated with only four speedboat transfers a day. Not all restaurants welcome children in the evening. Some of the villas and infrastructure is looking dated. This is the perfect choice of luxury beach villas Malaysia when you want to escape the world and be in pure heaven. 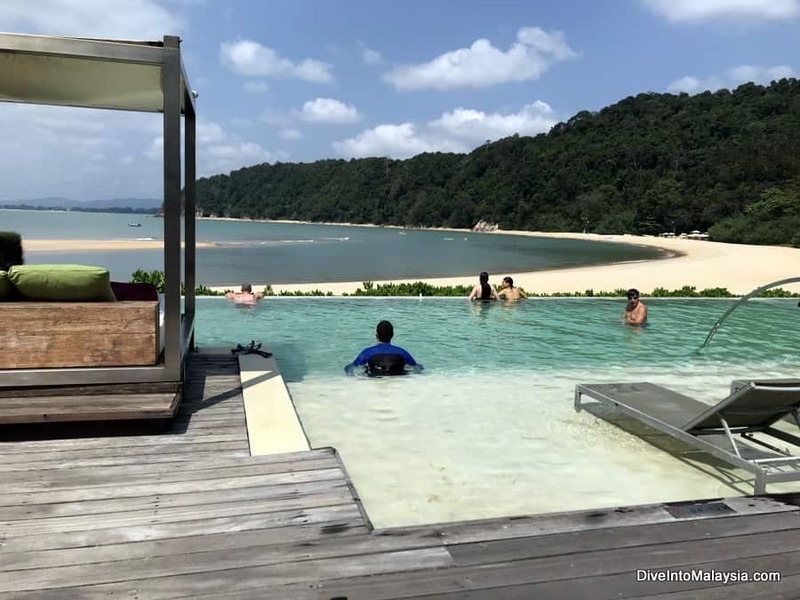 If you are looking for where to stay in Malaysia with a private beach and also an all inclusive beach resort Malaysia then Club Med Cherating is the perfect choice. A big cut above most Malaysia luxury beach hotels, this resort offers it all. For a start, it is located just north of Cherating Beach on Malaysia’s East coast on two private beaches. They are both stunning especially one which is a short “train” ride away on a regular service or you can enjoy a scenic jungle walk to get there. You’ll feel like you’re a world away from everything when you relax at this beach while being able to have a drink from a pool bar, do a water sport or relax in the adults-only pool. There is also an included restaurant at this beach. You can play tennis, shoot an arrow, swing on a trapeze, swim in the pool, have a workout, walk among the treetops, paddle a kayak, play a game and so much more. There are shows in the evening and live music. Families will love the kids club which is one of the best we have experienced anywhere. There are tons of activities and the kids club visits many of the resort’s facilities so your kids can be swinging on the trapeze one minute and going on a boat ride the next! They also get to perform in shows on some evenings. There are a variety of room types and all are of a good standard although some are showing their age. We had a suite combined with a club room which is perfect for a family. The reality is that you probably won’t spend much time in your room. If you do want to leave the resort, you are a very short taxi ride from Cherating Beach. The gorgeous beaches and resort. The kids club, the food. This is a great resort. We found service to be good on the whole until we had a problem. Then it was incompetent and we would find ourselves asking for things multiple times. They also won’t do things like change sheets during the night so hopefully you won’t have a sick kid like us! If you are looking for an all inclusive beach resort in Malaysia, you can’t go past the Club Med. It’s a beautiful setting with so much to do. Perfect if you want to be entertained without needing to leave or have kids. If you are looking for island relaxation and beautiful beaches among East Coast Malaysia beach resorts, definitely consider the Perhentian Island Resort. Located on the bigger of the gorgeous Perhentian Islands (Perhentian Island Besar), this resort is one of the most professional with the most facilities on the islands. Most importantly, it’s right on a gorgeous beach! In fact, the beach by this resort is what is featured on the home page of this site! There are a choice of rooms including beachfront ones which are worth the extra cost. It’s perfect if you are looking for a beach bungalow Malaysia. All rooms come with a private balcony and standard features like tea and coffee making facilities. There are also family rooms but these aren’t guaranteed even when booked so be aware you may end up with only beds for two people (but you can get rollaways). In addition to the beach, there is a great pool, tennis court, soccer facilities, volleyball and they can arrange diving and fishing trips. There are also two restaurants and karaoke. The gorgeous beach and location. The hotel is starting to show its age and could do with a refurbishment. There is no alcohol available. Many people don’t get family bedding they expect. This resort is perfect if you want to see what the fuss about the Perhentian Islands is about in beautiful and comfortable surrounds. Looking for good beach resorts in Malaysia? Then consider Bubu Long Beach Resort. Located on Long Beach on Pulau Perhentian Kecil, Bubu Resort is the ideal place for travellers looking for a beachfront getaway. Here you will find gorgeous white powdery sand and crystal clear waters just perfect for an island getaway. The Bubu Long Beach Resort has 38 modern hotel style rooms which have all been beautifully furnished. Each room features air conditioning and most have a private balcony. The rooms can accommodate a number of guests, with some rooms coming with 1 double bed and others containing 2 double beds. Some of the resort rooms have gorgeous views across Long Beach, whilst other have garden views. Onsite, there are 2 restaurants serving a range of cuisine including seafood and western dishes. Other features of the resort include tour desk, beach massages, free wifi in public areas and plenty of sun loungers for relaxing on the beach. During your stay, you can go snorkeling, swimming, jungle trekking, take a sunset cruise or go island hopping. Bubu Long Beach Resort is easy to reach, simply take a 35 minute boat ride from Kuala Besut Jetty which is 60 kilometres from Kota Bharu Airport or 100 kilometres from Kuala Terengganu Airport. Beautiful resort located on the crystal clear waters of Long Beach. There is no swimming pool at this resort, but with the stunning location right on Long Beach you won’t miss it. Bubu Long Beach Resort is the ideal place for travellers looking for Malaysia hotels on the beach where they can spend their days swimming in the sea and evenings sipping cocktails, all the ingredients for a relaxing break. If you’re looking for the best beach resort in east coast Malaysia, then look no further then the Taaras Beach and Spa Resort. Located on Redang Island, the resort is surrounded by the turquoise blue ocean, a powdery white sandy beach and majestic rainforest making it the perfect choice if you are looking to get away from it all. The resort has a range of accommodation options including suites to suit singles, couples or a family. For larger groups or for those who want more space, consider staying in perhaps the best private beach villa Malaysia has to offer. This incredible 5-bedroom private villa located on the cliff top, overlooking the resort and ocean below. Not only does this villa have its own infinity pool, it also has an elevator, butler, breakfast chef and security! There are plenty of activities to keep you busy during the day. Go diving in one of the 30 dive locations in the protected Marine Park, take a ride on the glass bottom boat, go windsurfing, kayaking or bodyboarding, or spend the day island hopping. On-land activities include jungle trekking, yoga, a pool, a karaoke room, a day spa and even a cooking class! There’s also a supervised playroom for the young ones. There are several restaurants on site offering a variety of cuisines. You’ll find it hard to resist what is on offer; a buffet spread of international and Asian fusion inspired cuisine, grilled seafood on the deck, or for special occasions, dine on a floating platoon in the middle of the sea. If you’re just after a drink head on down to the beach and chill out at the Bayu Bar. A great selection of room types to suit the needs of all sorts of travellers as well as plenty of different activities to keep you busy. As you’re on an island, there is no ‘city hub’ to go visit. You only access the island via the hotel’s private boat or public ferry. The hotel’s ferry is expensive at over RM200 return for one adult. If you are looking for luxurious hotels in Malaysia beach setting, it’s hard to beat the Taaras Beach and Spa Resort. Barat Tioman Beach Resort is a Malaysia beach resort near Singapore, located on Juara Beach which was voted by CBB as the No. 21 most beautiful beach in the world. The resort lies on a stunning 2 kilometre stretch of beach where guests can join in a range of water and land based activities. There is a huge range of accommodation options here across 56 spacious rooms. Guests can choose between rooms which have 1 double bed or 2 double beds and, for extra large families or groups, there is even a room with 1 double and 2 sets of bunk beds. Each room includes air conditioning, TV, mini bar, kettle and private balcony. Some rooms even have a spa bath. Facilities at the resort include swimming pool, rooftop bar and an onsite restaurant. Other activities to enjoy at the resort include swimming in the sea, kayaking, windsurfing, stand up paddle boarding, beach volleyball, snorkelling, diving or jungle trekking to the waterfalls where you may even spot some local wildlife. Despite its stunning location and fabulous location, this resort offers accommodation at a fantastic price. At this budget beach resort Malaysia offers, you will have peace of mind knowing that you won’t blow your budget staying at this hotel. Despite being one of the cheap beach resorts in Malaysia, the restaurant prices can be pricey. 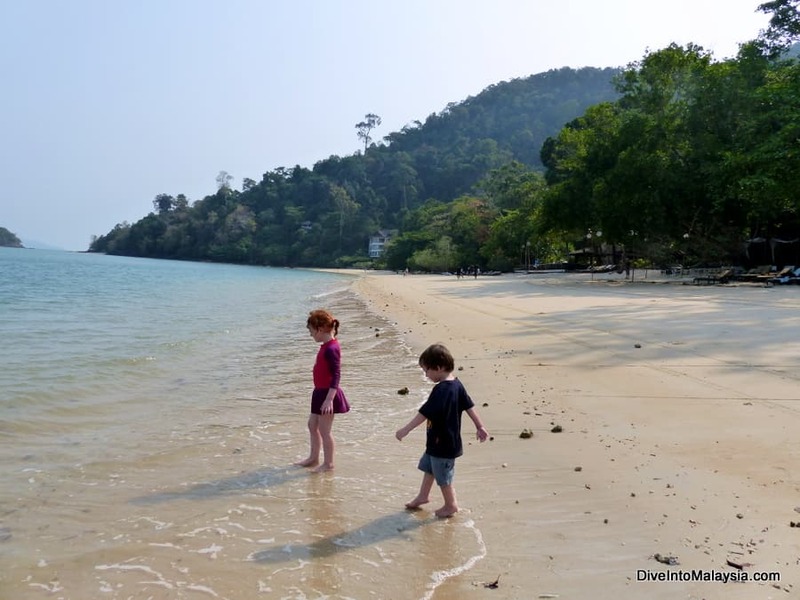 For travellers looking for one of the good budget south Malaysia beach resorts but still want a tropical island getaway with all the frills, the Barat Tioman Beach Resort is a great contender. If you’re looking for a beautiful east Malaysia beach resort, you can’t beat the Shangri-La’s Rasa Ria Resort & Spa. Located on a pristine stretch of Pantai Dalit Beach and surrounded by 400 acres of tropical rainforest, it really is a beautiful setting for a tropical retreat. There are a variety of room types to choose from, including family rooms, with all accommodation set in a Malaysian-themed room or suite situated in either the Garden or Ocean Wing. The rooms are set on a hill which provides fantastic views of the beach or the surrounding rainforest. There are a range of activities to keep you busy during your stay. The resort is even home to the Nature Interpretation Centre which is the entrance to the Nature Reserve. Here, you can meet Borneo’s wildlife, including several species of endangered animals. For the water lovers, kayaking, windsurfing, jet-skiing and banana boat rides will get the blood pumping. You can enjoy a spot of horse riding, deep sea fishing, stand-up paddleboarding, coconut leaves weaving, bingo night and some fun beach games. The resort also has an eco-friendly championship golf course and spa. The kids will love spending time in the kids club. Here they can have a go at coconut bowling or enjoy the Sundown Games in the swimming zone. The animal lovers get to help the rangers look after the animals in the resort’s care. And there is even a Family Fun Day on the weekend! The resort also has a range of restaurants. Do you want Indian or Italian? Or perhaps you feel like teppanyaki? Or maybe you just want to relax with a sunset cocktail in one of the two bars. Make sure you try the teh tarik – ‘pulled tea’ – at the Coffee Terrace. Accommodation with fantastic views and a great range of activities to suit all sorts of travellers. Families in particular will love the kids club. This is a popular resort so it can tend to get busy and may feel crowded to some travellers. Shangri-La’s Rasa Ria Resort & Spa is a gorgeous resort and perfect for a range of travellers who are looking for a luxurious getaway. Looking for inspiration for the best resorts in east Malaysia? Then definitely check out Bunga Raya Island Resort & Spa. Located on Gaya Island in Sabah, this is a beautiful secluded resort set on a coral reef island just off the coast of Borneo. Surrounded by sandy white beaches and lush jungle, the location is absolutely paradise. At Bunga Raya Island,guests stay in Malaysia beach huts style accommodation. There are 48 spacious hillside villas which are basic and include all the modern day comforts. Each of the villas have views of the South China sea of the jungle and comes with air conditioning, tea and coffee making facilities and TV. Some villa’s even having their very own plunge pool. Villas can accommodate 1-2 people, right up to the 3 bedroom villas which can accommodate larger groups. This Malaysia beach hut resort facilities include a swimming pool, on site restaurant, a day spa and gym. Other activities include kayaking, snorkelling and jungle trekking. This Malaysia island beach resort is relatively easy to reach being just 25 minutes by boat from the Jesselton Point Ferry Terminal, which is 11 kilometres from the Kota Kinabalu Airport. Bunga Raya Island Resort is located in a stunning secluded location but is so simple to reach. Being in a secluded location, there are no other options but to eat at the hotel during your stay. If you want a secluded, luxurious getaway which you can reach easily, definitely book a villa at Bunga Raya Island Resort. Any questions? Ask below. What would you list in your 10 best Malaysia beach resorts? 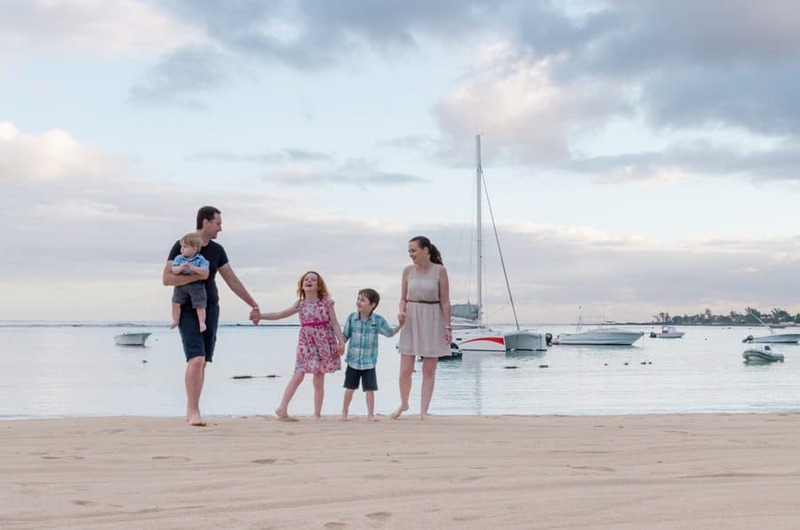 If you are looking for family-friendly specific resorts, this article lists the best ones. If you would like a hotel with a private pool room then this article lists your options. Or you can read our list of the overall best resorts in Malaysia. You can read about Malaysia’s best beaches here.